I'm not going to lie to you, I really just wanted to upload 100 pictures, say "hi", and call it a post but I figured I should at least say a little something :) This was good enough right? Ha, okay fine. Brief overview: I studied abroad in Italy my freshman year of college. I was in a Leadership scholarship program that did different study abroad programs each year. 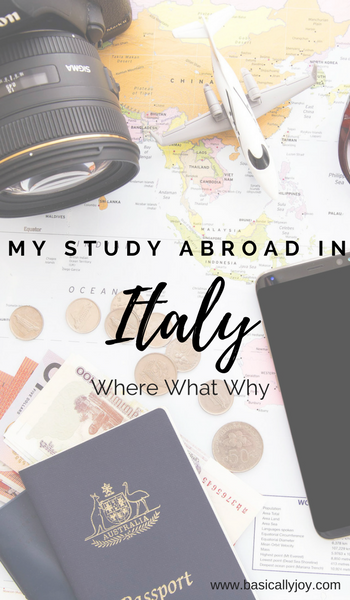 The semester before I went to Italy, I took an "overview" class of Italy that included learning the language, culture, and general travel tips. When the time for travel came, I flew into Frankfurt, Germany and from there took a short flight into Rome and so began my journey. I honestly could write a novel of my experience but I thought doing a look into my favorite things/places would probably be the most beneficial. Since this trip was prior to my blogging days, I don't have any great pictures of food, I apologize. Deciding where I found the best food was somewhat difficult since everything was so amazing plus authentic Italian food is much different than American Italian food (in a good way)! I chose Verona because there was a great little farmer's market as well as numerous street food vendors. I had several calzones from the street vendors. They were the best item to eat and walk around the piazzas with. Verona was also a little less touristy so the small shops had great food. I recommend, well one doing research of neighborhoods and such for safety, but exploring the non-tourist areas. You really do find the best authentic Italian food in these areas as tourist areas tend to lean more to American taste buds. No complaints about the pizza, obviously - don't judge my hair, nails, or lack of makeup skills, I was young. Back to the farmer's market, I have never in my life had better fruit than I did there in Italy. The strawberries were large and fresh with no taste of chemicals. If I could have smuggled some home, I would have! You don't have to travel off the beaten path to get to these. They had one about 2 blocks away from "Juliet's Home". Going grocery shopping for fruit and veggies is now increasingly difficult because I know what they COULD be but definitely aren't! For an authentic look into Italy, I loved Verona. It was beautiful and not filled to the brim with tourists. St. Peter's Square, Rome. I was there during Lent so they were preparing for an outside Mass in the square. I mean duh, of course this was my answer. Everything in Rome is the quintessential sight to see! 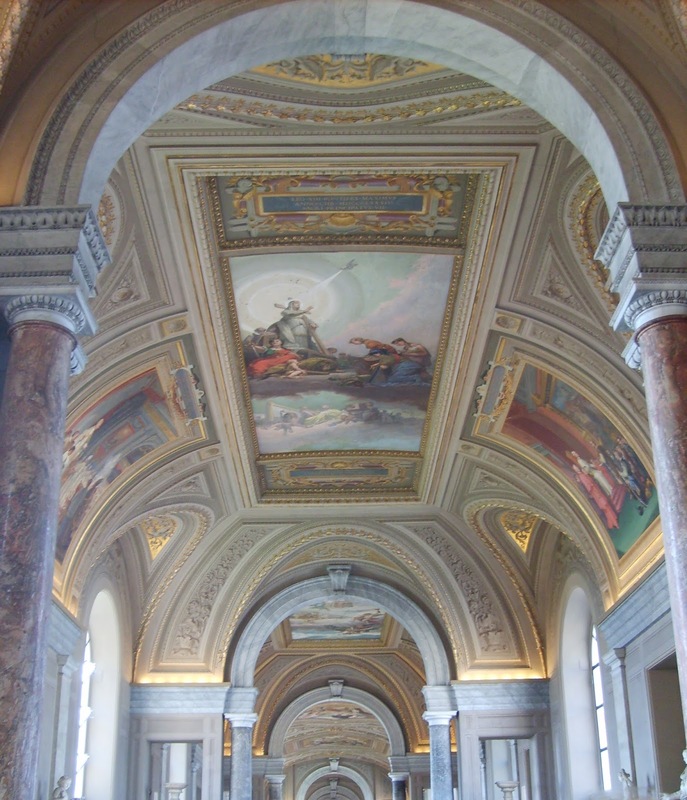 There are so many amazing museums to see, I couldn't just pick one but if I did, I would say going into Vatican City and seeing the Sistine Chapel. Standing in line to enter the Vatican was well worth it and I highly recommend it. You will never in your life seeing anything as impressive as the Sistine Chapel. It was truly an amazing, once in a lifetime experience. The Colosseum was amazing. To see the impressive architecture from centuries ago was really cool (yeah, there is no other word for it, it was just so COOL). While I was there, they were doing some repairs to some of the tunnels within the amphitheater. I assume they probably do some form of upkeep of year just to maintain the integrity of the building. Every museum, every fountain, every building was beautiful and worth seeing. You could easily make a week long trip just to explore Rome and you would not be disappointed. I was in Rome during Lent and Mass was held in several large plazas (as shown in some of the pictures below). I believe you would not even have to go into museums to appreciate the culture and ornate beauty of Italy. The exterior of the buildings are so beautiful and the paintings, I don't even have words!! 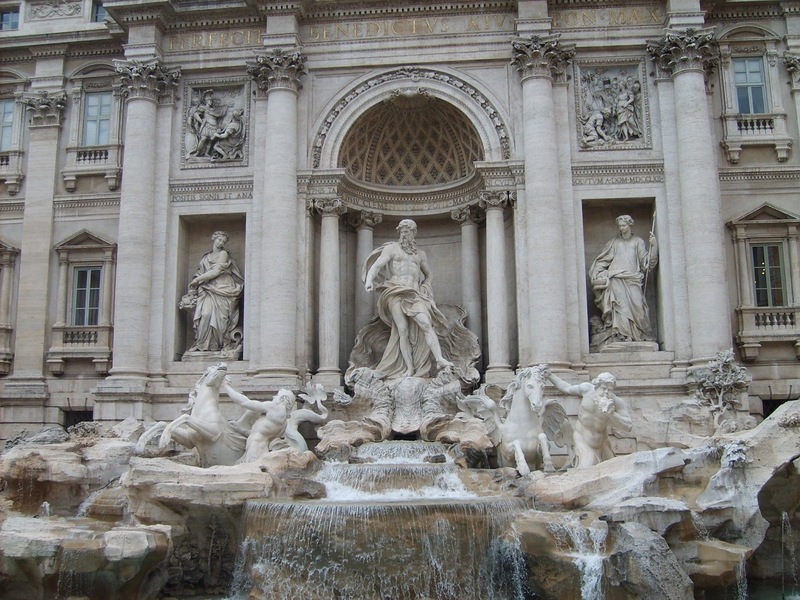 Some of my other favorite points of interest in Rome include St. Peter's Basilica, Trevi Fountain, and the Spanish Steps. I also have to include like EVERY SINGLE building! There is just so much to explore in Rome, it would be a great city to choose for museums and fountains alone. All the beautiful churches, though.. I mean WOW! I mean need I say more than wine? 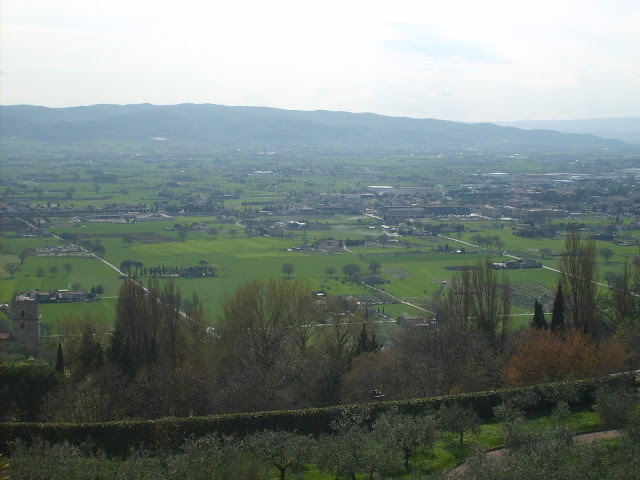 Real talk though, the Tuscan countryside is lush and gorgeous green with rolling hills. Tuscany & Florence showed me a different side to Rome. You can find beautiful fields as well as gorgeous churches built into the countryside. 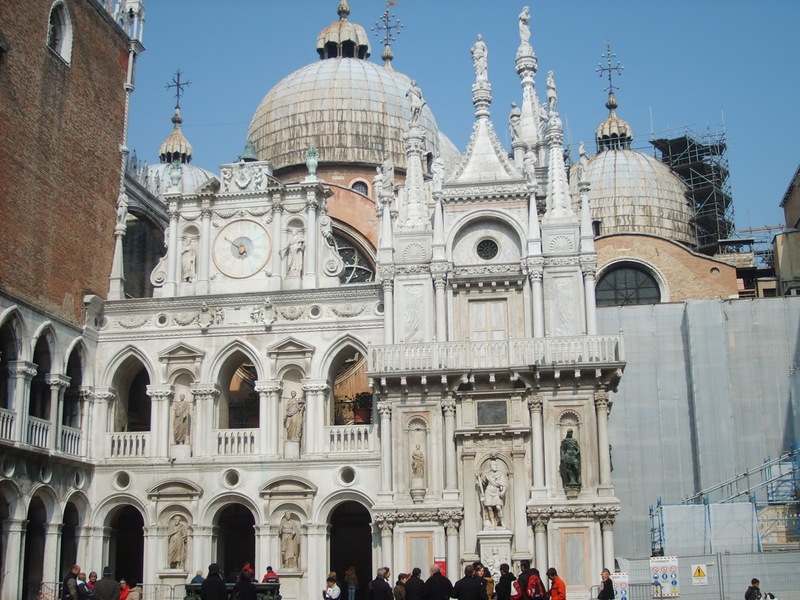 The last stop before heading home was Venezia (Venice). Of course, I took a gondala ride through the Grand Canal! Do not underestimate the chill over the ocean air, 50 degrees here in Texas is not 50 degrees in Italy. It was quite brisk! Taking the gondala through the canal, I got to see tons of cute little flats! 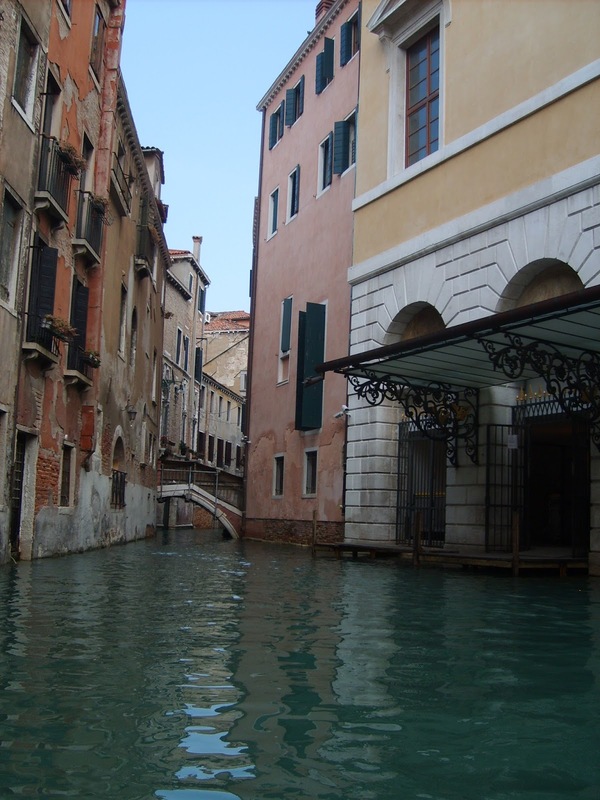 If I could live anywhere else, it would be in Venice. I love the idea of being that close to the ocean, some even right on the water. Before heading to the airport we took a walk down to the beach to catch one last glimpse of the amazing view. 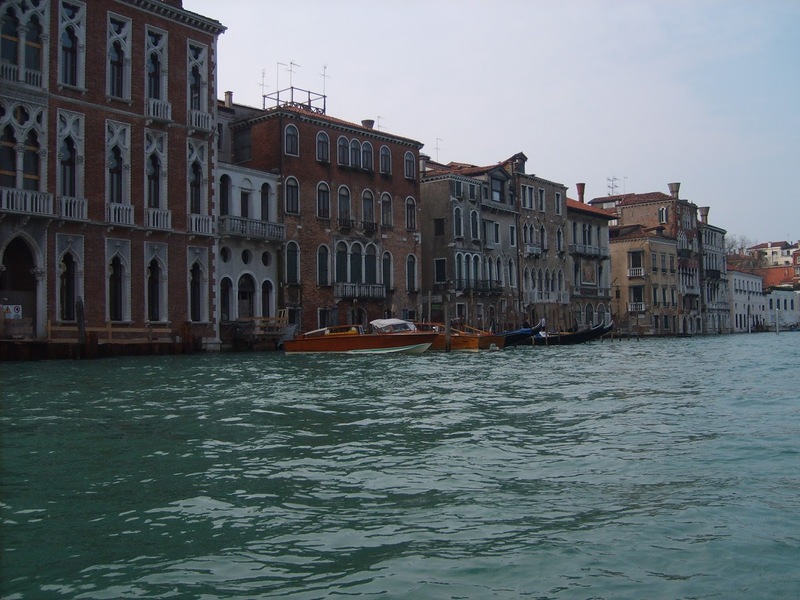 I took a gondala ride through the Grand Canal in Venice, it was so beautiful! Before I even started writing this post, I was so excited about it! I love looking at pictures and thinking of all the wonderful memories. The best part of all these pictures is that they were all taken with an actual camera that you had to go to a store to get the film developed. I know right? What a caveman idea! I really could have gone on and on but wanted to share more pictures than anything! Next up on my bucket list: Greece! Hope you enjoyed a little taste of Italy! Wow, the photos look totally amazing!! I really love all the architecture. I've been dying to go to italy haha it's very high on my travel bucket list! It is gorgeous & I am planning on heading back next fall! You have some great photos of your trip. What a great experience. Can I have some of that pizza? Lol! You should know better than to try and ask me to share my pizza lol! It is, I really enjoyed getting out of the major cities to see the beautiful landscape! Love it...bucket list travel for me...Africa...Paris...Italy and Japan is next year! I'm so envious of you missy! You are the travel queen for sure and I can't wait to see pictures! Haha, the pizza was amazing! They told us it was "personal" sized, I'm not sure for who though! I was very lucky to get to take this trip! I really had to beg my parents but I know they are happy they let me go as well. Truly a once in a lifetime experience! Italy is on my bucket list. It looks so beautiful and I bet the food is amazing! :D :D :D I studied abroad in Rome my sophomore year of college, and so now one of my favorite things is to see other people post about Italy, ha! I love Rome. Loved it so much I dragged my fiance to Italy last year over winter holiday :D It never gets old, and I'm glad you've got great photos and memories of your study abroad! I want to drag my bf along next year because I'm dying to get back! Glad you got to experience the beauty of Italy as well! I would kill to go to Italy! I studied abroad in London the summer after my sophomore year, and I wish I had been able to take a weekend trip there! Awesome photos! I bet London was a great place to study abroad! I want to go so badly! This is SO great! I love, love the photos. One of my regrets is that I didn't do a semester abroad. It looks like such a great time! You've definitely given me the travel bug once again! Studying abroad is amazing, I'm so glad I did it in undergrad! I really want to visit Italy now even more! Where did you study abroad? It is such a life changing experience, don't you think? Italy was already on my bucket list but now even more so! Love your pictures and it looks like you had so much fun! I had SOO much and cannot wait to go back and explore even more! Thank you so much, it was truly beautiful! I don't think you could have gone to a better place! How gorgeous!! This place looks BEAUTIFUL. So jealous! It was amazing! Counting down the days until I head back to Europe! It really was, so grateful I got to have it! Ah I've always wanted to go to Italy!! Beautiful photos and a great read. Thanks for sharing!